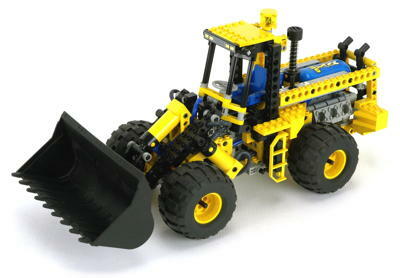 Those familiar with their LEGO® history will recognize 2004 as the year that the company almost went out of business. Their expansion into new markets and addition of new parts and colors had diluted the brand and production system to the point that it was unmanageable. 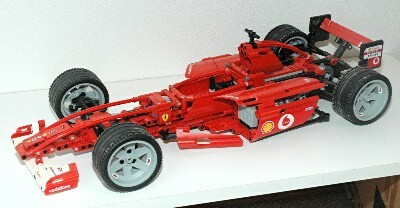 Although 2004 did not see the tremendous sprawl of Technic models of some recent years (there were only 6 sets this year), a survey of the parts in them highlights the problem. 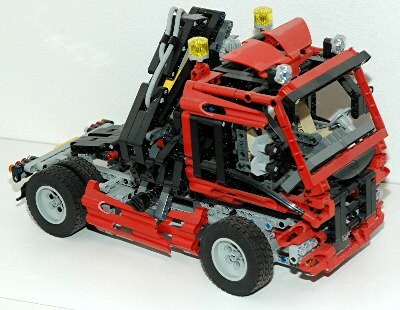 8435 in particular has rare parts in unique colors that had never been used before or since. Worse, there was no particular reason for these colors. They added nothing to the model. The other models shared similar issues to lesser degrees. A new box design was added this year which would be the standard for a decade. The box featured a black left edge with a main image on the right with a faded "technical" view of the model as a background. In order to save on packaging costs, the typical box was changed from one with reinforced side walls and an reusable top flap to a very simple carton which needed to certain sections punched out to be opened. This made the box much less useful as a storage container versus just as a shipping container, but also made the boxes easier to break down and flatten. Instructions of this era also became much simpler than their predecessors, sometimes with only one or two parts added in a step. While this made the instructions understandable to a younger audience, it also added a lot more pages. At this time instructions started to be separated into multiple printed volumes. This year the maximum number of volumes was 2, but it would go as high as 6 for some models in later years. 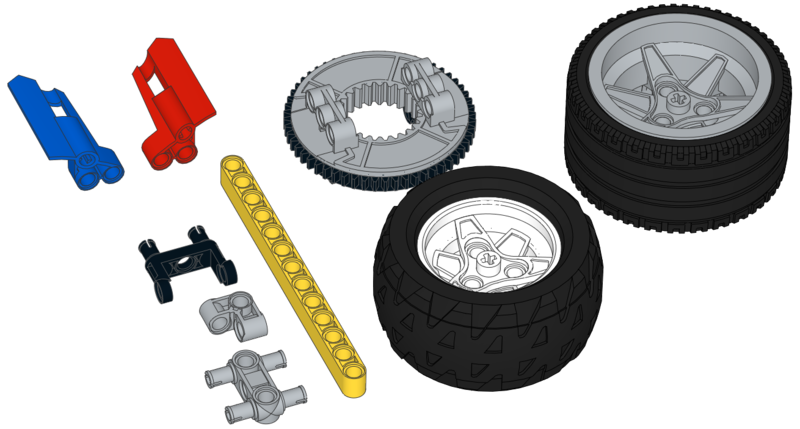 Of the 6 sets this year, 4 were new Technic models, one was a re-release of the pneumatic loader, and there was one new Racers model made from Technic parts. A pair of new small panels (#24 and #25) were introduced to complement the smoother panels from the previous year. A new 13L straight studless beam came out, completing the set of odd numbers from 3 to 15. A new, lower profile studless turntable came out to replace the one in use since 1990. Like the old one, it has 24 teeth on the inner ring gear and 56 teeth on the outer. The old turntable disappeared from Technic but is still used for large Systems models. 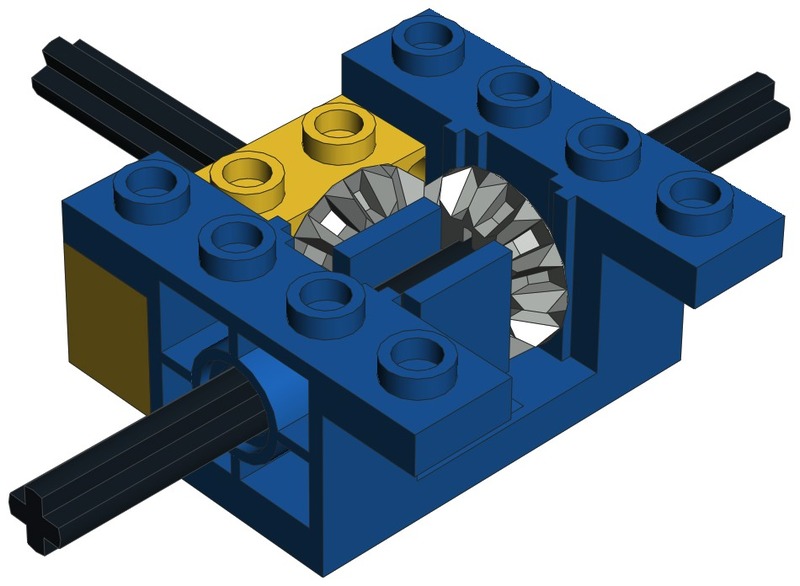 A small connector (shown in black) was released specifically intended to reinforce bevel gear connections. A couple of other useful pin connectors with multiple holes (shown in gray) were also released. The new large Technic wheel and 68.8 x 36 ZR tire released this year in the Ferrari Racer became the most widely used tire for fan supercar creations. With a large diameter, a low profile, and a pin pattern which attaches to the wheel hubs, it was a natural choice although it is a bit wide for many scale applications. Another new 68.8 x 36 H tire was released with a very strange tread pattern for the 8435 truck. The tread is not really appropriate for a truck, so it is hard to understand why this was necessary. 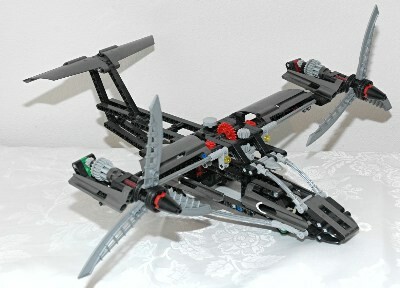 It only appeared in one other Technic set and then disappeared forever.